The new Google Assistant smart displays keep trickling in. 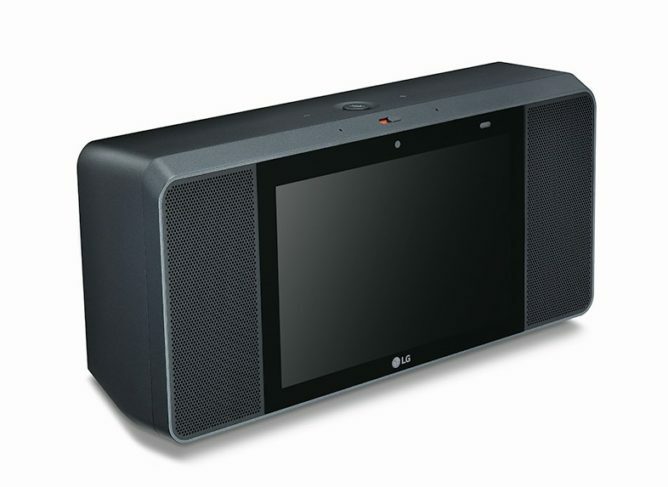 Shortly after the announcement of Assistant coming to display-endowed speakers, we discovered the Lenovo Smart Display then we learned about the JBL Link View. 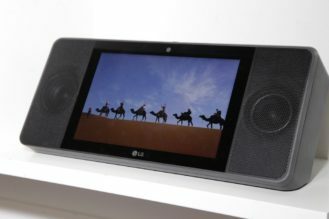 Now we have the third device of its kind, the LG ThinQ WK9 (could also be called the ThinQ View). Details are really sparse, even sparser than the JBL ones. We know it will look like this, it will have an 8" touch display and front-facing camera, and the audio is tuned by Meridian Audio. And it will obviously have Assistant and Chromecast built-in. 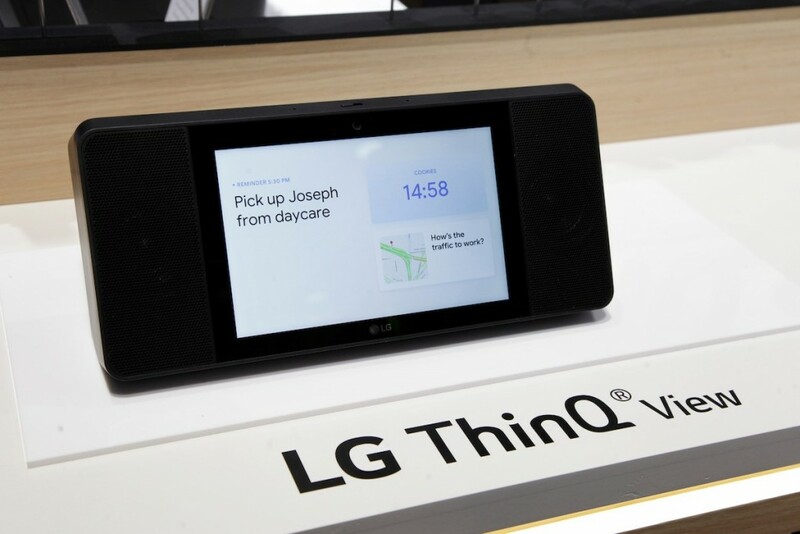 That means you'll be able to get visual answers to your commands, watch YouTube videos, make Duo calls, and group it with other Assistant and Chromecast speakers in your house. 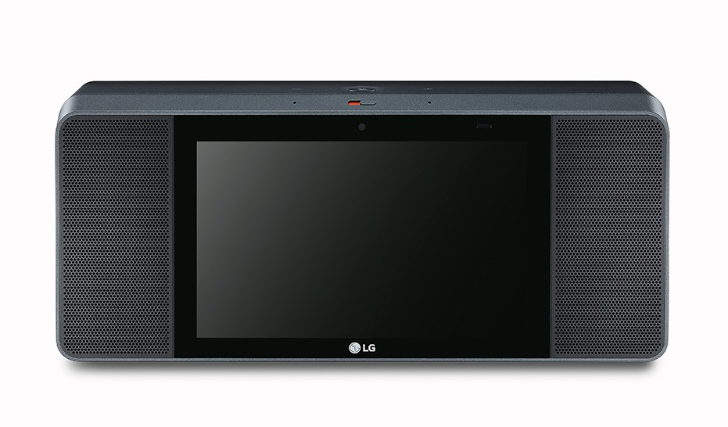 From the image above, I can't tell if the top orange switch is a physical privacy cover for the front cam (the Lenovo unit has it) or a mute switch for the mic. Also, there aren't any details regarding audio specs, pricing, or availability. Given that both the Lenovo and JBL units have release dates around early summer, I suspect this one will follow suit. Now all we need is to know which one is the Sony model. There's been no word on that one yet. 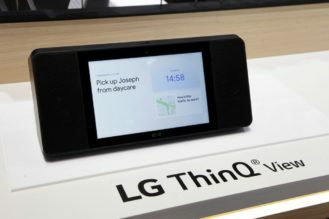 Here are a couple more photos of the ThinQ View from LG taken at their CES booth. Also, as I suspected, the orange flip is a manual camera privacy cover.